Everyone says that “the money is in the list,” but hardly anyone ever talks about what to do when you market to your list to get higher open rates with your email marketing. I think you know that email marketing is an effective way to market your products, services, and information to your audience. However, you can easily confuse your readers to the point that they do not take any action when you send them an email. Know Your Audience – The best thing you can do for your business is to understand your audience backward and forward. The more you understand what drives your target market, the better you can word everything to get the response you want. Craft Subject Lines That Create Curiosity – Your first line of defense is the subject line of your email. If your subject line doesn’t make the reader curious enough to open the email to read the rest, nothing else matters. Use Bulleted Information – Inside the email message, be sure to make the information easy to absorb. One way to do this is to use bulleted information and lists. People read online differently than they read a book. They read vertically instead of horizontally; therefore, make the information match where the eye goes. Have One Focus Per Email – Instead of giving too much information and many options for purchasing something, make your email focused on one item and one offer. You can always upsell and cross-sell at the point of checkout but for the purposes of the email, make the focus on one thing only. Provide One Link Per Email – Don’t overwhelm your audience with ten links to different items in your emails. Instead, provide one link for the focused information that you want to get across to your audience. One link gives them one thing to do. 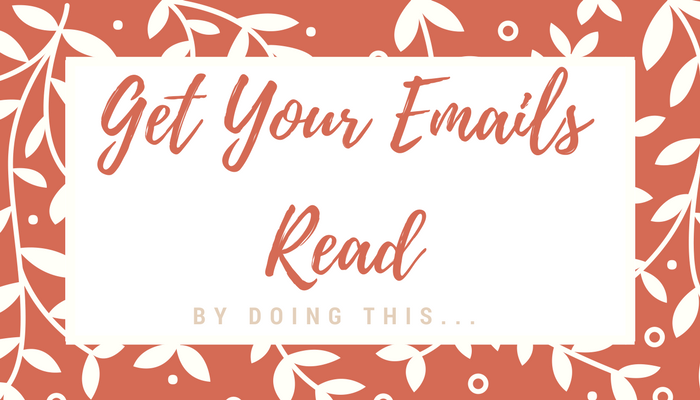 Know Your Specific Call to Action – If you can identify the one thing you want your audience to do after reading your email, then it will be easier for you to design the subject line, headline and email to match. Keep It Short and Simple – Super long emails don’t translate well because most people just want to know what the point is and move on from the email. Take out extraneous words and get to the point in your emails for faster action. Understanding that you can increase conversions by being more focused on each email that you send doesn’t mean you can’t promote more than one item in your email messages. However, focusing each message on one promotion will get you further than too many promotions in one email. Follow these tips to increase email open rates and get your email read.